Within the myriad of winding streets lined with corrugated iron sheet houses and with one of the best views of the majestic Simonsberg, is the AmaZink theatre and restaurant – South Africa’s first Township Theatre Restaurant. On offer is very ‘lekka’ (nice) kasi (township) cuisine designed to offer the very best of South African flavours and a music experience honouring legends such as the late Miriam Makeba, Johnny Clegg, Mango Groove and many, many more. Brought to you in collaboration with Ramaine Barrerio-Lloyd Productions, AmaZink Live is a magical and vibrant proudly South African musical. This culturally authentic performance encourages audience interaction and a chorus of entertaining artists creates a truly memorable and fun experience for all. The AmaZink Live story originated two seasons ago. The venue started out as an unlicensed tavern called Patricia’s Tavern, which was nearly demolished, but was eventually saved, licensed and renamed AmaZink Live. The following year more drama unfolded as tavern manager Miss Patricia Jones, her cousin Fix Marwana and owner Musa Mavundla fought for the survival of the place and subsequently achieved both fame and fortune as the Kayamandi All Stars stepped into the limelight. This year Patricia, Fix and Musa return to their ‘home sweet home’ from a performing tour overseas. Hailed as local celebrities, they are quizzed on their highlights, memorable moments and reasons for coming back to AmaZink Live. Patricia receives a phone call: an offer to move to France permanently and perform in a world-class theatre. Will she choose to leave her beloved ‘home sweet home’ for the allure of the glitzy and glamorous Paris…? The terrifically tumultuous South African journey resonates through our music as melodious mementos of hope, courage, peace and an unbridled zest for life. 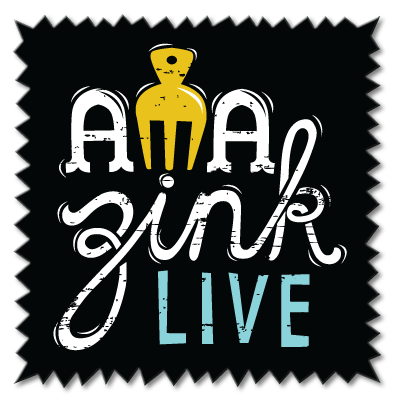 AmaZink Live is a musical adventure inspired by fire. In 2011, AmaZink Live was the runner up for the Mayoral Tourism Award for Best New Tourism Business and was nominated by the Woordfees in 2012 for the Woord Trofee for Best Contemporary Music Production. Bookings are open from Monday – Friday from 09h00 – 16h00.